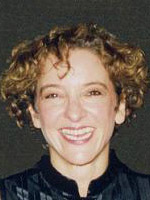 Graciela L. Kaminsky is professor of Economics and International Affairs at The George Washington University and Research Associate at the National Bureau of Economic Research. She previously held positions as assistant professor at the University of California, San Diego and staff economist at the Board of Governors of the Federal Reserve System. She has been a Visiting Scholar at numerous government organizations, including the Bank of Japan, the Bank of Spain, the Federal Reserve Bank of New York, the Hong Kong Monetary, and the Monetary Authority of Singapore. She has also been a consultant to international institutions, including the Inter-American Development Bank, the International Monetary Fund, and the World Bank. She holds a PhD in Economics from MIT.